Shirlee MacDonald in 2005, at a club meeting. It is with a heavy heart that we share the news of Shirlee MacDonald's passing. The club sends it sincerest condolences to Shirlee's children and their families at this sad time. Shirlee passed away May 30, 2015. Shirlee will always be missed by the club members who knew her as a generous friend as well as a fellow collector. And by the fruit jar collectors who knew her as a passionate collector and historian for so many years. 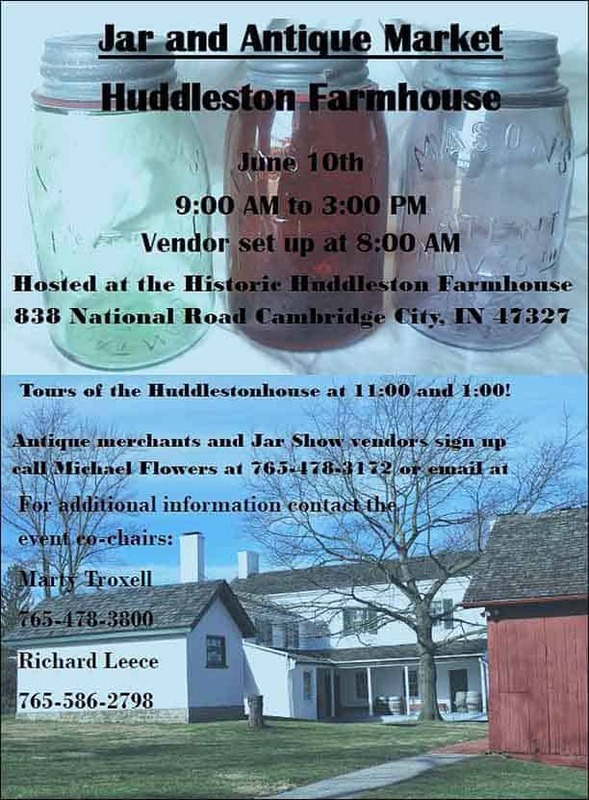 Her research contributions to the antique fruit jar and bottles hobby will live on as part of her legacy. Shirlee MacDonald (with FinBotClub members Tom Brown and Joe Frey) stand in front of the club's display at the Hancock Historical Society. Shirlee Ruth MacDonald, 86, of Findlay passed away on Saturday, May 30, 2015. She was born on September 27, 1928, in Chicago IL to the late Edgar G. and Ruth Lyndon (Judd) Dallwig. She married Walter E. MacDonald on July 19, 1949, and continued their marriage for 35 years while living in Worcester, MA and Wenonah, New Jersey before moving to Findlay, Ohio in 1958. Shirlee is survived by her sons: Steven E. MacDonald of Lima, OH and Paul A. MacDonald of Findlay, OH; her daughter, Laurie J. (Thomas) Biddle of Findlay, OH; her granddaughter, Amy Pugh of Lewisville, NC; her granddaughter Alicia Rene Pugh of Findlay, OH; her granddaughter, Heather (Shawn) Heidlebaugh (MacDonald) of Findlay, OH, and their children, Allena and Elise; her granddaughter, Athena (Kelli) MacDonald-Risner of Maryville, TN, and their children, Kori, Casey, Navaar and Natalya; and her sister, Janet M. Davis (Dallwig) of Leesburg, FL. Shirlee was a devoted homemaker through the years and was always actively involved in the lives of her children and grandchildren. 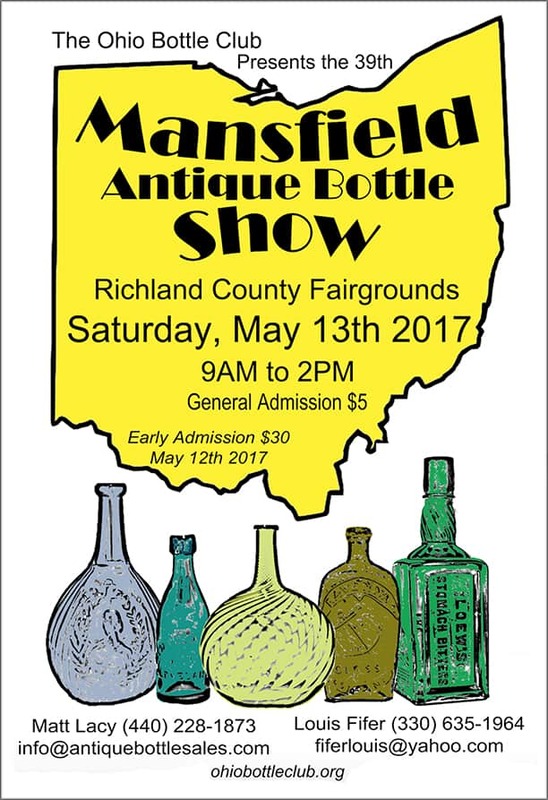 Beginning in the 1970s she became interested in collecting antiques, especially antique bottles and Findlay related items. 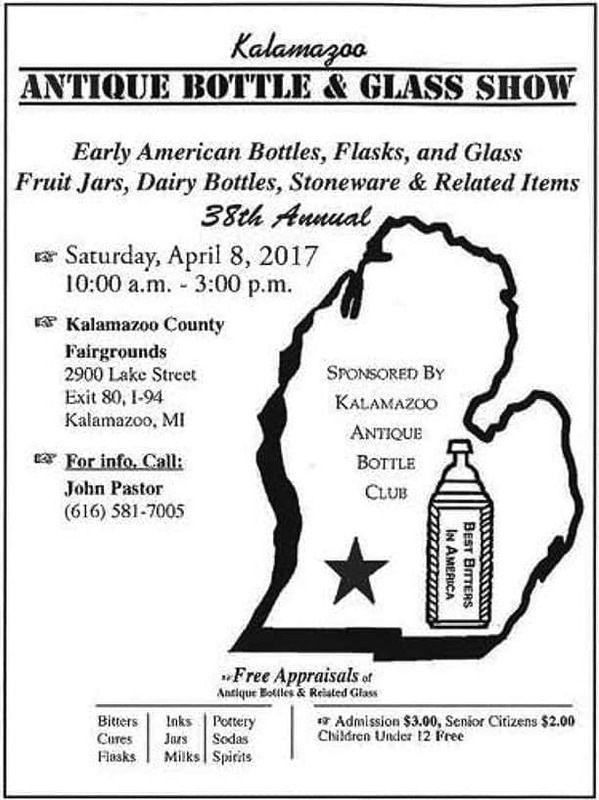 She was a founding member of the Findlay Antique Bottle Club from 1977 through the early 2000s and was very passionate about her hobby. Shirlee at 2007 Findlay Bottle Show dealer dinner, the last time she was able to attend our club show. 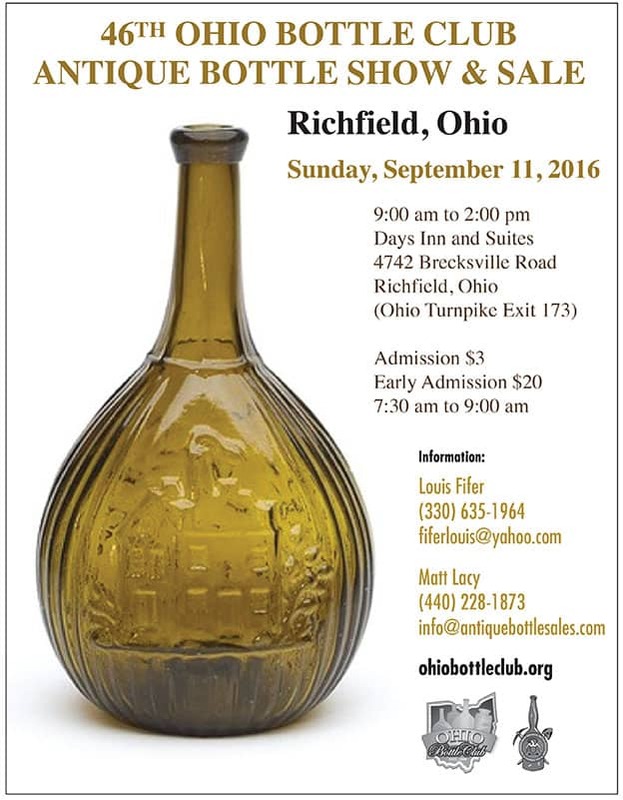 Shirlee MacDonald was one of the earliest members of the Findlay Antique Bottle Club, joining in 1977. She served for many years as Newsletter Editor of the club's monthly publication Whittle Marks. 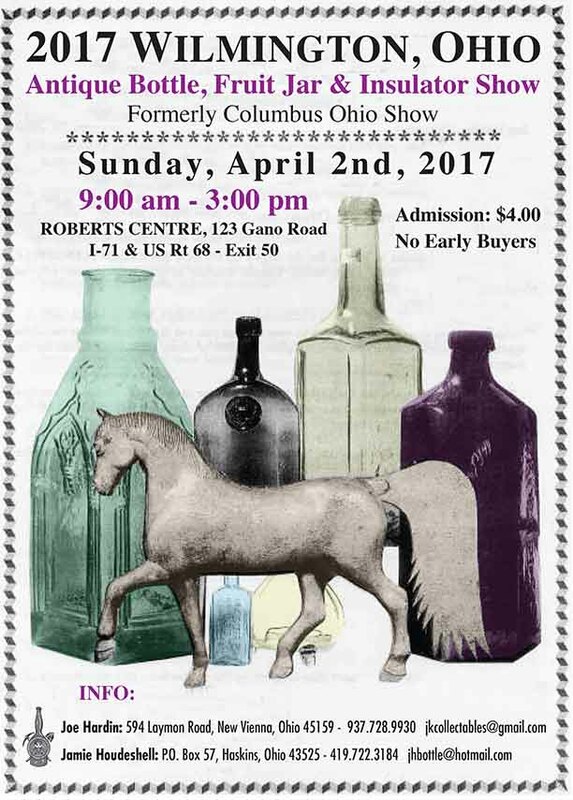 Shirlee collected dozens, if not 100's, of categories of collectibles, with a strong focus on fruit jars and Findlay items. She always brought a wide variety of items to our meetings for Show'n'Tell, many of which she had researched. 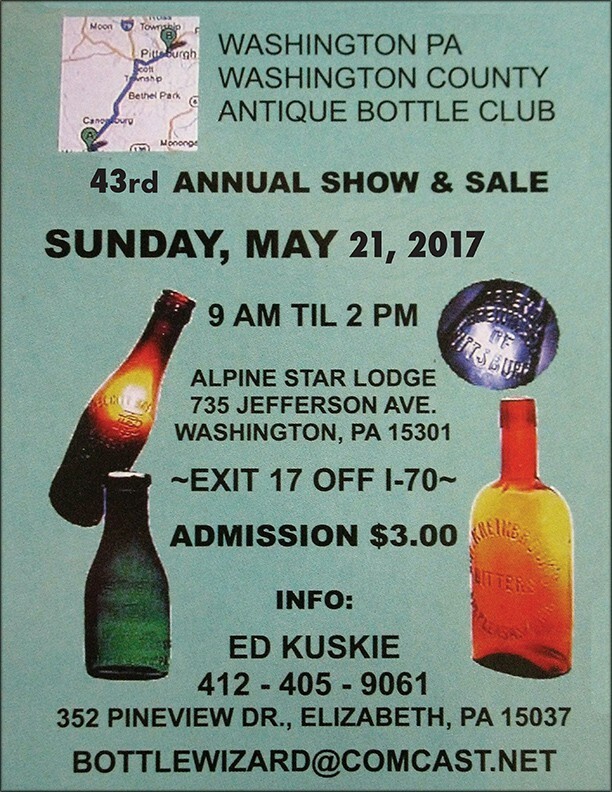 Over the years, Shirlee shared so much information about her passion -- the bottles and jars she collected, and their history. Her research was published in many hobby publications, reference books, magazines and newsletters. While Shirlee's enthusiasm for collecting never waned, sadly her eye sight did deteriorate, and she moved to an assisted living facility (in about 2005) . The FinBotClub was able to hold a few of our meetings there, until it became too much for her ailing health. When it came time for Shirlee's children to sell her home, in 2007, that meant they also had to sell her vast collection. The sale was accomplished over the course of several auctions, which are now legendary for the size and scope of the offerings. The final Shirlee MacDonald auction was catalogued, and is viewable online, with photographs and realized prices here: Oct 19th, 2007. 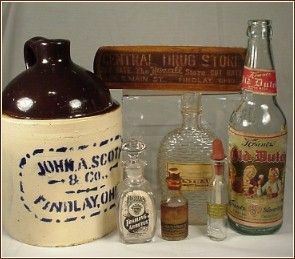 Below, photos from just one of the auctions of Shirlee MacDonald's antique bottles and fruit jars collection held in 2007. They show just a small fraction as it took several auctions to disperse all of her vast and varied collections. FinBotClub members Ton Brown, Joe Frey, and Jeff Klingler sharing memories of Shirlee and her collections. 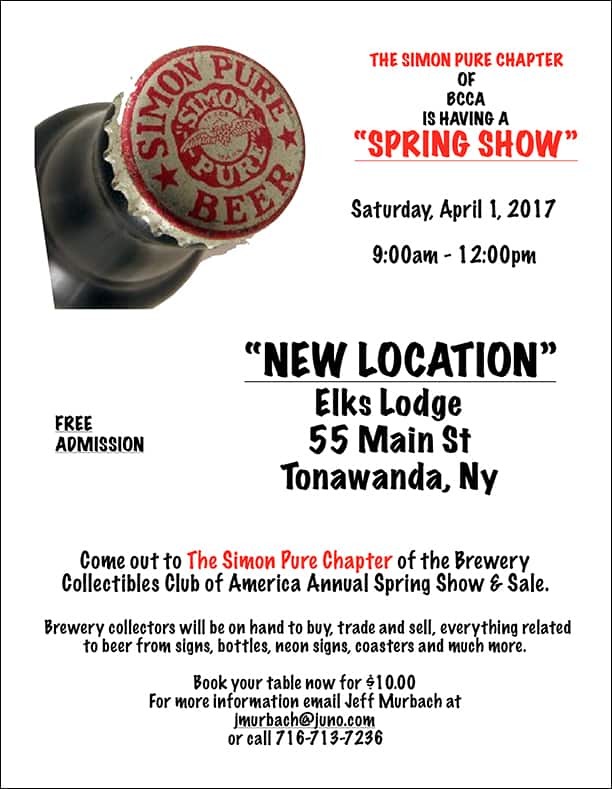 She had brought in 1,000's of items for the club meeting's Show'n'Tell sessions. 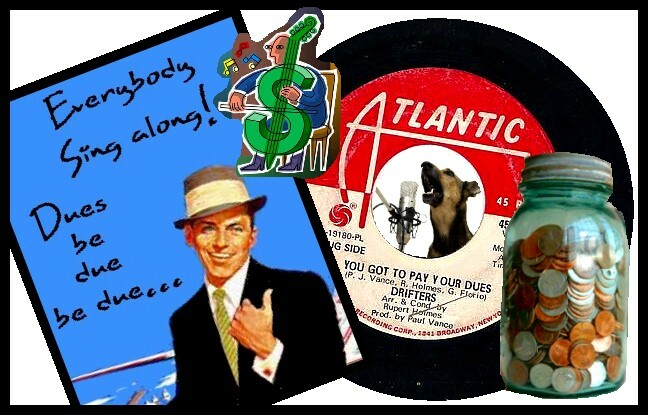 I'm reading: Sad News: RIP Shirlee MacDonald, Longtime Findlay Bottle Club MemberTweet this!